Who would leap at the chance to spend $1500 on a set of high-tech eyewear? Thanks to Google's one-day sale for Google Glass in April, we're getting a clearer picture of who wants to own Google's wearable computing device--and just what it is they find appealing about Glass. Previously, the only way to get your hands on Glass was to belong to Google's Explorer program--a way for Google to crowdsource development of the smart glassware to app coders and early adopters to help figure out just what the product can do. On April 15, though, Google opened the floodgates to anyone in the U.S. willing to part with $1500, quickly selling out its Glass stock. Since then, we've talked to some of the people who ponied up for Google Glass to find out what they're hoping to do with this alpha-level product. It'd be foolish, of course, to draw sweeping conclusions when we've only been able to talk to a fraction of the population who bought Glass. Still, we've spotted a few trends after talking with more than a dozen newly minted Glass owners: being able to take photos and look up information hands-free is the killer application for now, since that can come in handy for work and play, across many walks of life. It's probably not surprising given the number of developers we talked to and the fact that Glass seems to draw interest from an especially geeky crowd at this stage, but development was a big theme among the people we talked to. That's not to say they have definitive plans, though: Many Glass owners with visions of apps dancing in their head don't have a fully baked idea on what they plan to build for the platform just yet. Instead, they bought Glass specifically to see what it was capable of before starting the app-making process. Developer Andy Vizulis had plans to build a GPS-based Field Trip-like app that could tie into Glass, but was set a bit off course when he realized that Glass doesn't have an on-board GPS chip. "Hopefully, one will be added at some point, with a cheap upgrade option for us developers," said Vizulis, founder of Mindspark. "It would be great to be able to use the power of Glass without a tethered smartphone...especially when traveling abroad." Even if they don't plan to make an app, most of the people we talked to want to figure out how Glass fits into their professional lives. We found no shortage of cool ideas Glass owners are thinking about, such as a heavy-duty truck mechanic who wants to use the smartglasses to access online repair manuals so that he doesn't have to carry large volumes of information out into the field. Karen Pattist, a self-described "fish fixer," works to rehabilitate diseased fish or problematic koi ponds. Most people in her line of work use phones to look up information to help diagnose problems. But that's a problem itself: ""Cell phones at pond side are a bad idea," Pattist told us in explaining her interest in Glass. Since she can wear Google's device, she's hoping to keep her hands dry when she's looking up relevant data on the job. "I'm hoping to be able to safely secure Glass and my prescription frames on my head, and then be able to look up formulas and other info while my hands are wet," she said. All work and no play would make for a pretty dull pair of smartglasses, though. 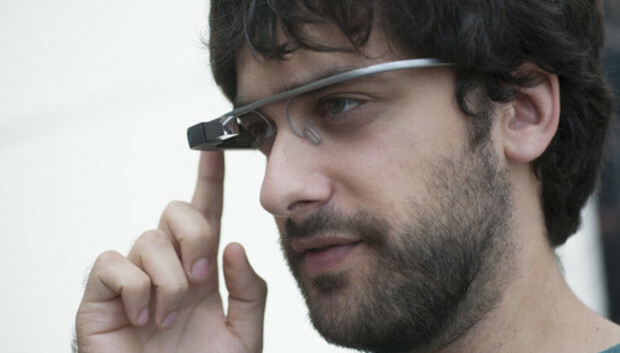 And some of the new Glass owners we spoke with think that Google's device can help them in their daily lives. Vizulis, the developer hoping to create a GPS-based app, is also an avid cyclist who biked the Boston Marathon route the morning of last month's race with Glass, taking pictures and videos along the way. Peter Malek, a process improvement consultant at one of the Big Four consulting firms, plans to use connected fitness- and health-related apps as part of his active lifestyle. Still, others had been waiting for a Glass-like product to come along for some time and jumped at Google's sale so that they could be among the early adopters. Dr. Jean Scholtz, a human-computer interaction researcher and computer scientist at the National Institute of Standards and Technology, has been following the ubiquitous computing space for a long time. "I just want to play with Glass," Scholtz said. "I was an advocate of ubiquitous computing long ago and think this is a step forward." In fact, nearly everyone we talked to wanted to use Glass in a personal way to capture the world around them. And that may be the device's greatest appeal--the ability to snap hands-free pictures and video of friends and family and document experiences while traveling. Whether that's worth $1500 is a matter of personal choice, but for these early adopters, it seems to be. You'd expect people buying Glass at this point to skew toward developers and app makers. After all, Glass is still very much in its infancy--it's an alpha product with bugs and issues that still need ironing out before a wider release. And that impression is bared out by the number of Glass buyers we spoke with who are planning to create apps for the device. Still, the responses we heard indicate Glass may have a broader appeal beyond just geeks and app makers. From accessing key information on the job to taking videos and pictures on the go, the Google Glass owners we talked to have found plenty of uses for their latest gadget. It's a long way from making Glass an indispensable device, but it would certainly suggest this isn't just another high-tech toy. Whether people planned to primarily use Glass for business or pleasure, nearly everyone we talked to mentioned that they just thought Glass was cool and wanted to play with it--enough that they were willing to drop a massive $1500 on a polished but still unfinished product. There are likely many more people out there looking to try out Glass because of the coolness factor, and if the price is right, Glass may have a future beyond being a niche curiosity.